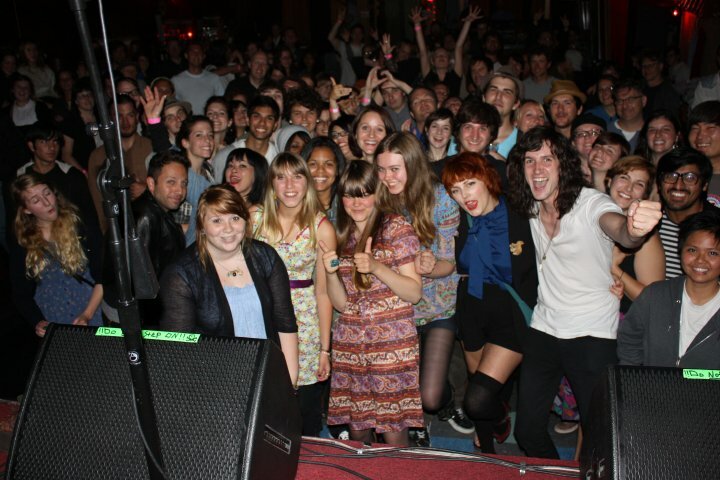 Always More to Hear: Where's Jamie at the SF First Aid Kit show? dude, I totally CANNOT find you! Are you wearing your glasses? Ok, I thought that was you...next to the big bright earrings, right?